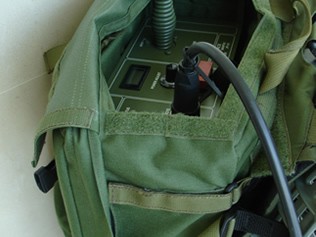 The JAMPACK is a lightweight, battery-powered, portable, high-power multi-band jammer, built into a sturdy back-pack. 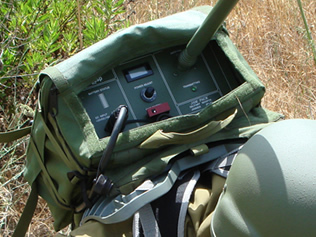 The JAMPACK was designed for the protection of ground troops and bomb disposal squads against the threat of remotely controlled improvised explosive devices (RCIEDs). 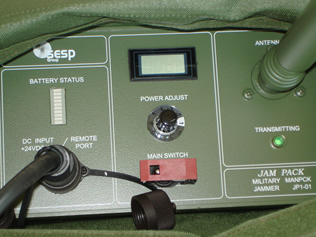 Despite its small form factor, The JAMPACK jams the most used cellular, satellite and VHF/UHF frequencies, almost entirely eliminating the possibility of an enemy detonating an RCIED in proximity to the protected troops. Designed from the ground up for protecting troops on the move, the JAMPACK was engineered to operate reliably in any climate and terrain. 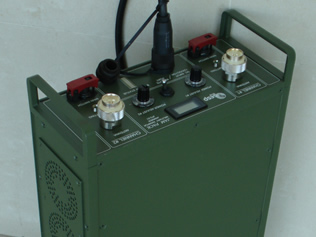 Its high-capacity Mil Spec rechargeable batteries provide extended periods of field operation.